Earlier today CityLab featured the work of graphic designer Alex Szabo-Haslam. Szabo-Haslam wanted a shirt of his hometown of Sheffield, England, but it didn't exist. Much the same can be said for a city like Houston. 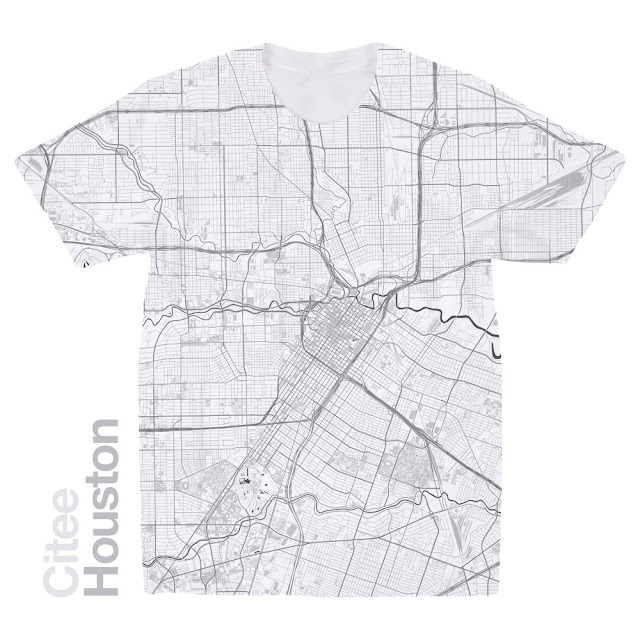 It's a bit disappointing that as the country's fourth largest city Planetizen doesn't even make a Houston City T-Shirt. Thankfully, Szabo-Haslam featured Houston as one of his 80 cities in the designer's Citee Fashion line. 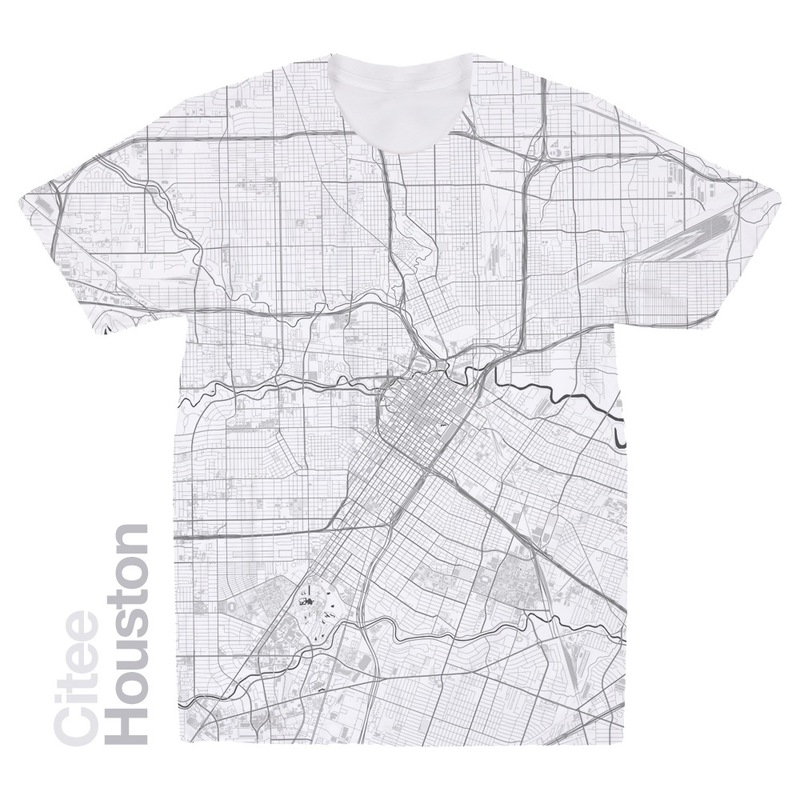 Houstonians can finally rep their city's highways, street grid and bayou system. Szabo-Haslam used data from Open Street Map to create maps for each city. You can read more about his project on CityLab, or support his work on Kickstarter. Houstonians, you can pre-order a shirt on Kickstarter for about $44 right now.